Leyya is a dance artist, educator, and the Artistic Director of DANCE ELIXIR. Under her direction since 2003, the company has enjoyed national tours and international engagements in 11 countries throughout Europe and the Middle East. She has been honored with numerous residencies, including KUNST-STOFF arts RAD program (San Francisco), Detroit Contemporary (Detroit), NooderparkKamer (Amsterdam), Hotel Pupik (Austria), Studio Emad Eddin (Cairo) and Central City Artist Project (New Orleans). In 2014, she will be a resident artist at P-10 in Saint Petersburg, Russia. The mainstay of her work is collaboration with artists from multiple disciplines, particularly new music composers and improvisers. Since 1996, she has collaborated with scores of artists, including composers Christopher Keyes (1999-2008), Mark Gergis (2009-2010), Lars J Brouwer (2011-2013), and Mike Khoury (ongoing). She is currently collaborating with the artists of music duo Tiberius (Dominic Cramp and Mike Guarino). Her research into location-based dance making has birthed projects such as The Grand Re-Map and Destroy// – works that are subject to variations defined by locality. Her approach to dance making has caught public interest: read recent interviews with NEA Art Talks and the ART21 Blog. She choreographed/co-directed a music video for The Stripminers, with filmmaker Doug Freel. Her experimental films have been presented by Dances Made to Order (Los Angeles) and The Flea (NYC), including “Quieting Heart: Attempt #5“, which received the 510 Arts Best of Oakland award in 2010. Leyya is the Director and Curator of TAC: Temescal Arts Center, a venue for experimental performance in Oakland, California. She is active locally in Oakland, and within the transbay experimental venue network. She co-produced the first SwapFest in 2013, and was co-curator of Summer of Art (2012-13) – an outdoor stage series at UN Plaza in San Francisco. She will curate the East Bay programming of West Wave Dance Festival 2014. Tawil was born in Detroit, MI to parents of Syrian and Palestinian descent. She received her BDA in Dance from the University of Michigan-Ann Arbor, School of Music, and her MFA in Choreography from Mills College-Oakland. Tawil has received numerous grants and awards including the University of Michigan 2008 Emerging Artist Award. 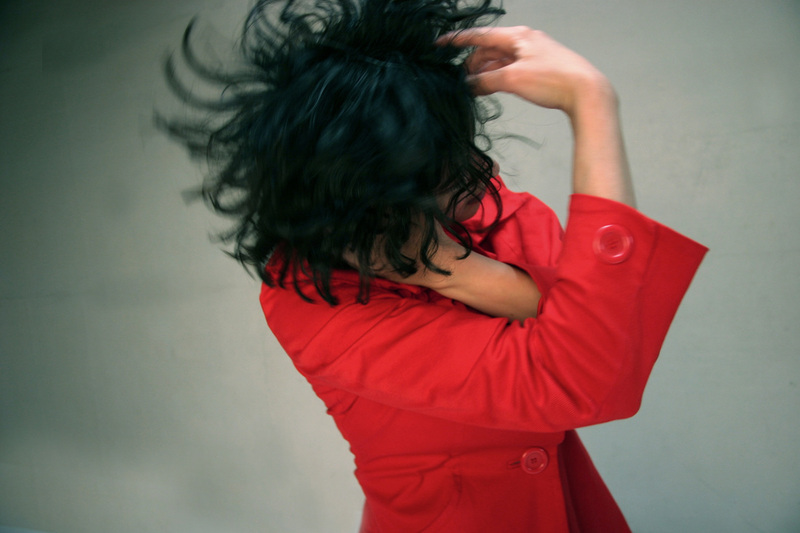 From 2007-2009, Tawil was the Middlebury College (VT) Artist-In-Residence, during which time she choreographed and toured work to NYC, Montreal and Tabor, Czech Republic. She has also held faculty positions at the University of Michigan, University of San Francisco, and Sonoma State University (CA). She has held workshops in choreography and improvisation worldwide, and has been commissioned by numerous universities throughout the states. Since his emergence on the west coast in the late 1970s, Evander Music founder Phillip Greenlief has achieved international critical acclaim for his recordings and performances with musicians and composers in the post-jazz continuum as well as new music innovators and virtuosic improvisers. His ever-evolving relationship with the saxophone unfolds with an expansive sound vocabulary, a deep regard for melody and form and a rollicking humor and wit that is not dissimilar to the Native American Coyote tales. He is composer in residence with Rough and Tumble and teaches music at San Francisco Waldorf High School and the East Bay Center for the Performing Arts. Mr Greenlief is a recipient of the San Francisco Bay Guardian Goldie Award and served as Artist in Residence @Headlands Center for the Arts in summer 2013. Tiberius is primarily a spontaneously creative unit comprised of Dominic Cramp (Evangelista, Borful Tang, Lord Tang, Vulcanus 68) playing organ and electronics and Mike Guarino playing drums, guitar, and electronics . Between them they have performed and recorded in multiple countries with such artists as Nels Cline, Shahzad Ismaily, Mike Watt, Carla Bozulich, Richard Bishop, Bill Gould, John Dietrich, Ches Smith and Damo Suzuki. Most recently, they have engaged in an ongoing series of performances with choreographer Leyya Mona Tawil of Dance Elixir.